Our beautiful and gallant young female Soldier has urged all Nigerian men to have the courage to walk up to a Female Soldier they have feelings for. 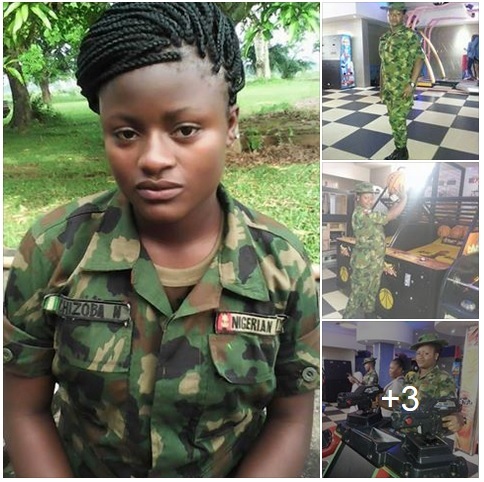 That Nigerian female soldiers are loving and caring people because of their training to love and defend the nation. So they can defend and protect their home likewise. Incase you are afraid of anyone, come to Me I will help you talk to her.